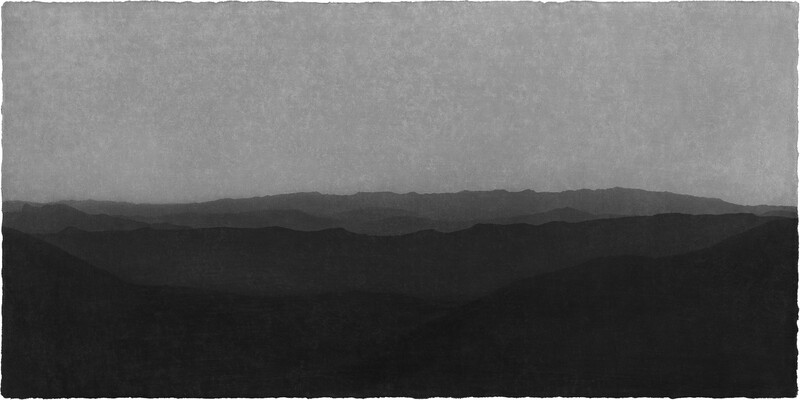 American Desert I 91–45​ © Jungjin Lee, from ​Jungjin Lee: Desert​ © ​Radius Books​. When asked to write about the work of an artist for ​Exposure,​ Jungjin Lee was the first name to come to mind. Last year saw the publication of not one but two monographs by Jungjin Lee, ​Opening f​rom Nazraeli Press and ​Desert ​from Radius Books. 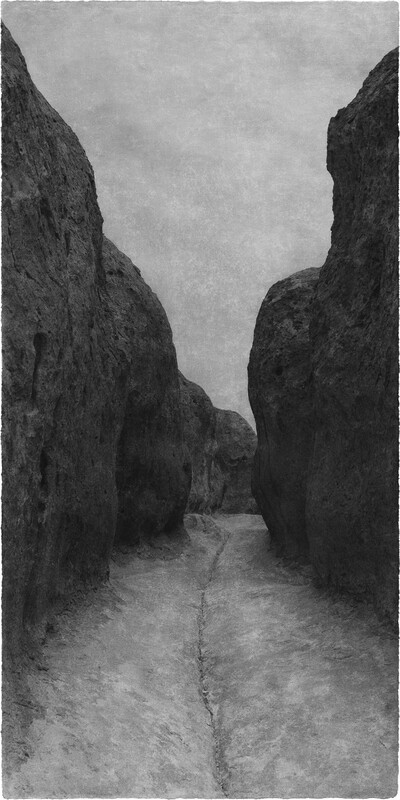 This year, she is among a handful of photographers featured in the lauded exhibition, ​New Territory: Landscape Photography Today, ​at the Denver Art Museum (on view through September 16). Unfortunately I have never had the pleasure of seeing her work in person, and in preparing for this article, I became keenly aware, for the first time in a long time, of the importance of the photographic object, not just the image. We have become so accustomed to seeing images on screens, and most of the time this is the only way we ever interact with them — we say we “know”​ t​he work of many artists, but we never experience​ t​ he physical work, the thing itself. I do, however, have both of her recent books, which occupy a somewhat acceptable middle ground between a website and a physical print. And while ​Opening ​contains images made in 2015–2016, ​Desert i​s made up of twenty-year old work, never even exhibited before 2016. They create bookends for the works in the decades between, fraternal twin perspectives orbiting each other, and when viewed together, reflecting and reinforcing each other. I try to make a perfect print, but that is a contradictory and impossible aspiration. There is no ‘perfect,’ there is only what I think is perfect at that moment. Sometimes I make a mistake, by chance, and what comes of that is very unique and thus perfect. Opening #12 © Jungjin Lee, from ​Opening. ​Courtesy Nazraeli Press. Opening #24 © Jungjin Lee, from ​Opening. ​Courtesy Nazraeli Press. 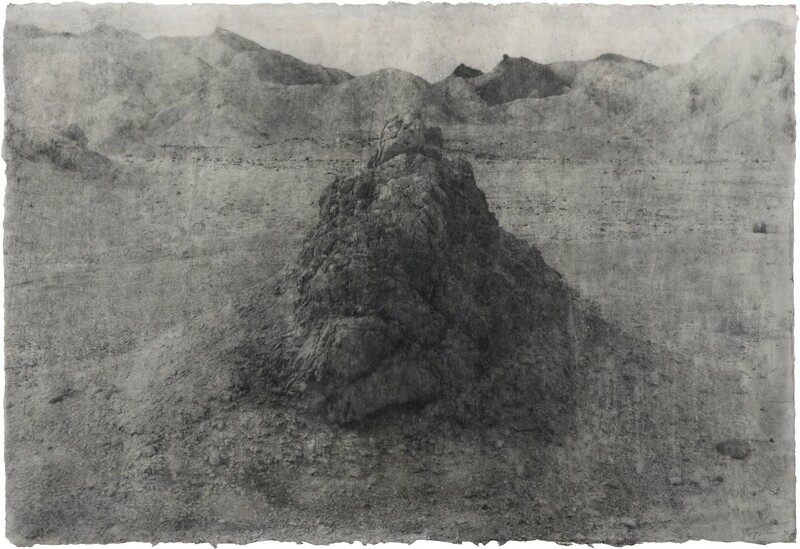 Several artworks by Jungjin Lee are included in ​New Territory: Landscape Photography Today​, on view at the Denver Art Museum through Sept. 16. Courtesy Denver Art Museum. 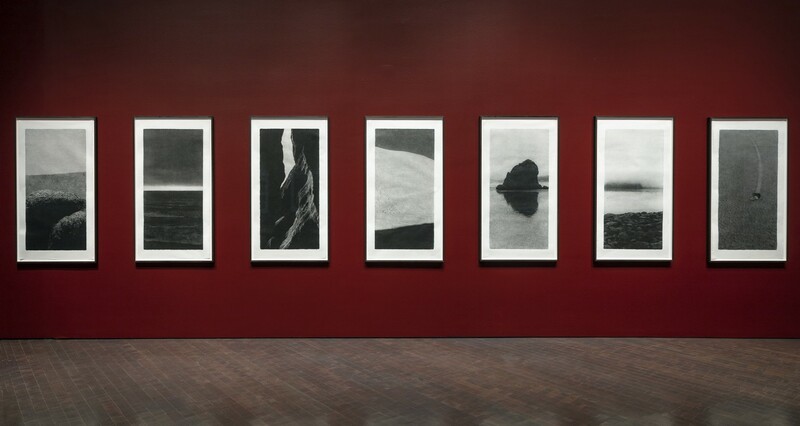 The prints on view at the Denver Museum of Art are from the ​Opening ​body of work, with frustratingly vague titles, ​Opening #02, Opening #04​. Likewise, on her website there are no titles, no artist or project statements, no information of any kind. There are only the images. Bodies of work are named for the most part with a single word, ​Desert, Ocean, Wind, Wall, Thing, ​and only a few refer to a specific place, ​Unnamed Road, Everglades. ​This is the only prompting the artist gives, and in our current world of exhaustive explanations it is disconcerting at first, but when viewing the images, the where and the what quickly lose their importance. Certain motifs pop up across the projects: roads curve between land masses or barriers, folds in the earth repeat, horizons rise and fall, a single hill becomes a monolith, sand and stone formations sprout fantastic wild hair pieces of weeds and brush. 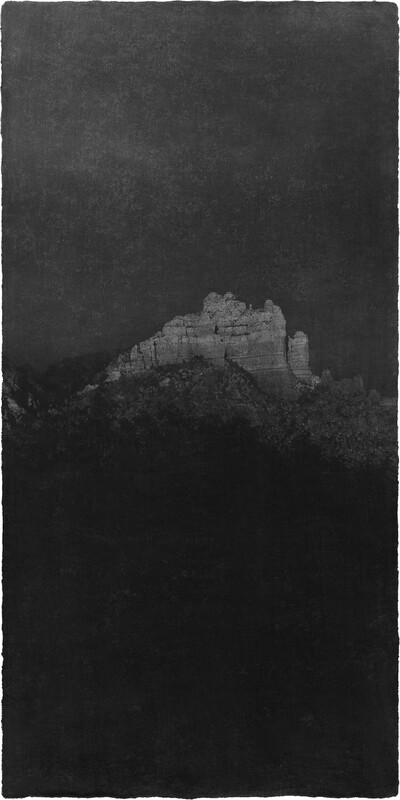 Darkness and light are often transposed — the foreground is a black void while shapes and light emerge from the distance. Most noticeably, the printing process Lee uses creates a distinctive textural element in the images. There is noise, static, like fuzzy video footage, and there is depth — it feels like you are looking through space, or layers of time. Opening #01 © Jungjin Lee, from ​Opening. ​Courtesy Nazraeli Press. American Desert I 92–21​ © Jungjin Lee, from ​Jungjin Lee: Desert​ © ​Radius Books​. American Desert I 92–16​ © Jungjin Lee, from ​Jungjin Lee: Desert​ © ​Radius Books​. The images in ​Opening ​are of deserts, mountains, forests, and water. 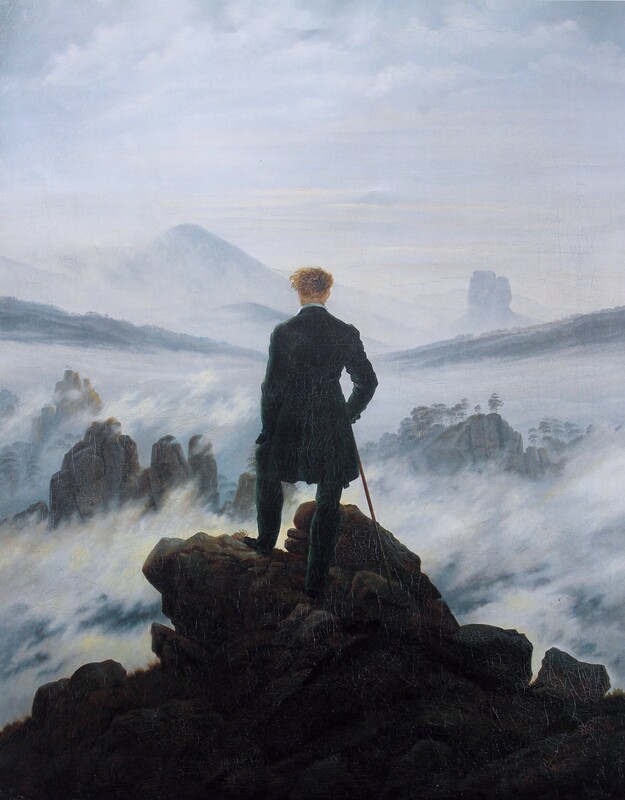 They remind me of Romantic paintings; particularly German Romantic painter Caspar David Friedrich’s Wanderer Above the Sea of Fog, except without the wanderer. We almost never see people in Lee’s images — they are not necessary. There is a presence in the earth and the sky; the space seems filled with something unidentifiable, but definitely tangible. The air is charged — with life, energy, and possibility. Many of these works are vertically oriented, tall and narrow, like banners, or doorways. They emphasize the monumental nature of the content and spaces. Even the horizontal compositions have this element — they seem to reach outward and go on forever. Land masses are layered on top of each other, becoming bands of light and dark, in some cases abstracting into blocks of light and dark, like the photographic equivalent of a Rothko painting. The tones seem to vibrate against one another. This is where the books become important, because both ​Opening ​and ​Desert ​are wonderful examples of contemporary art book publishing. In these, the denseness of the ink, and the richness of detail are overwhelming, possessing a luscious tactile quality that pixels on a screen can never approximate. ​Opening i​s a vertical accordion fold, measuring 11 feet when fully extended, with panoramas on each side, the monumental vertical compositions punctuated by horizontal ones, placeholders marking beginning, middle, and end. The images are refined, more formal, perhaps a reflection of years spent perfecting her practice. ​Desert i​s made up of four volumes, large vertical books depicting early work made over a period of five years. It’s in these early works we see Lee experimenting with what her new, expressive process can do — ignoring the frame, filling the page with negative space, the object being depicted is as a painting or sketch, surrounded by the blank page. She plays with format and content, in some cases creating horizontal triptychs, which seem more than anything like small notes taken, a visual diary of a moment. In some, the artist’s body is actually present, and she bleeds or melts into the landscape, eventually being replaced by the earth and plant forms. 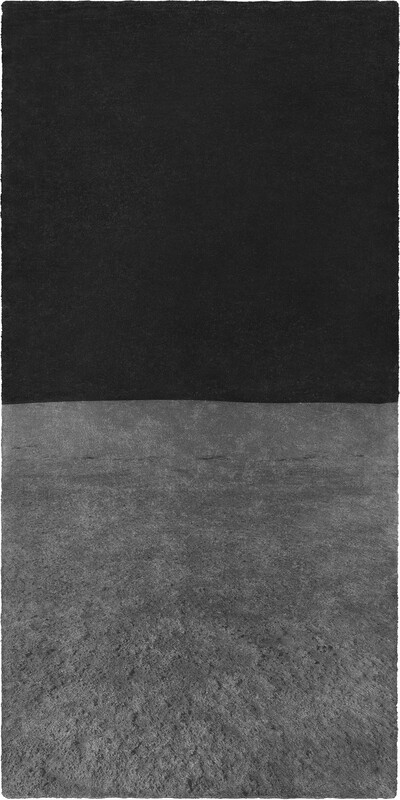 In other images focusing on the land the horizon is removed; there is just the ground — furrows, creases, and holes in the surface of the earth. 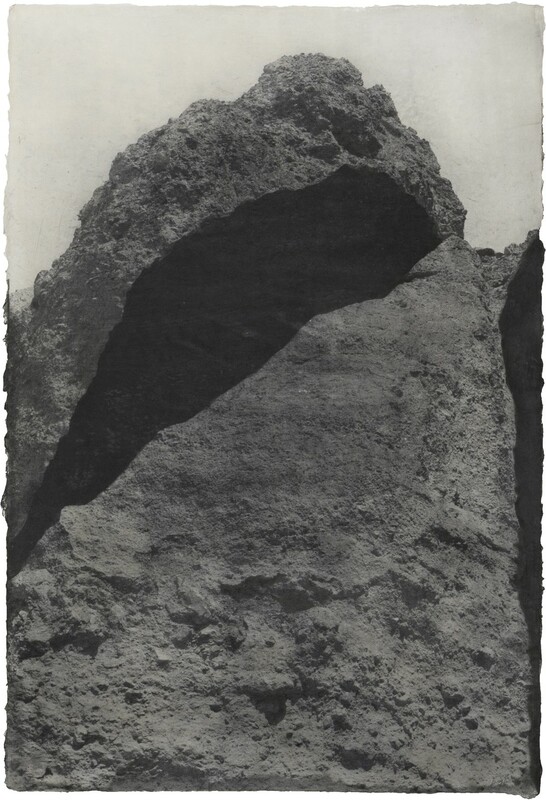 With the absence of figures in these landscapes, and on closer examination, I am surprised to find I assign anthropomorphic qualities to them — I see limbs, joints, orifices, the crown of a head. (from l-r): Opening #11 © Jungjin Lee, from ​Opening. ​Courtesy Nazraeli Press, and Opening #23 © Jungjin Lee, from ​Opening. ​Courtesy Nazraeli Press. In looking at these works, it’s clear there is a searching, and striving to find new ways to render these spaces, and these are profoundly moving for the viewer. In placing these two bodies of work together, one can see a clear line connecting them — both appear contemporary, and timeless. Another of her series, ​Ocean,​ plays with convention and challenges how we see landscape — here again there is no horizon, only the surface of the water and some kind of interruption — a line, a border, a reflection, a wake, the edge of a wharf or the emergence of a ramp. 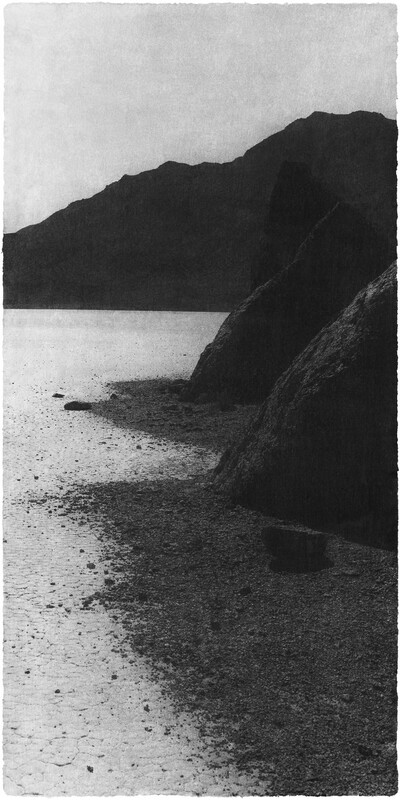 These are not the pristine, controlled seascapes of Hiroshi Sugimoto. They are mysterious and melancholy — the lines and forms hiding just underneath the surface suggest a change to come, or a monster ready to emerge. 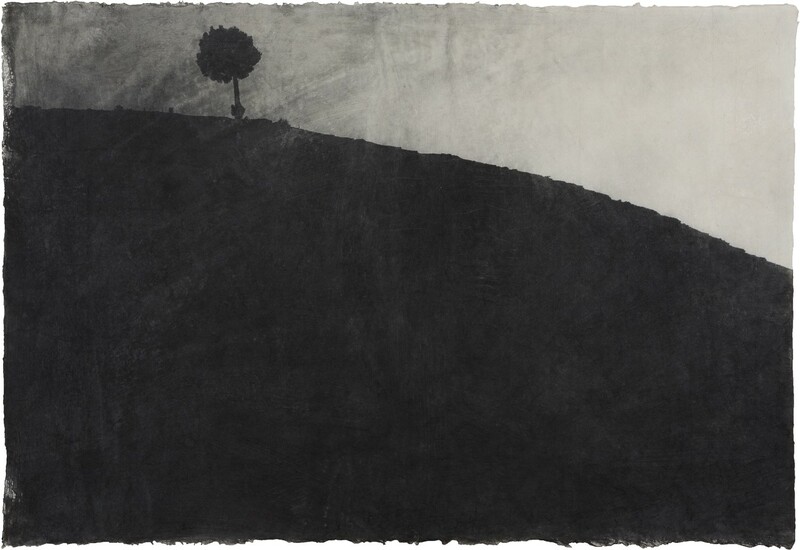 I am seduced, delighted, and amazed by Jungjin Lee’s landscapes. The empty spaces she depicts prompt reverie, and for all of their physicality, they are places of the mind. They are mysterious, unique, and perfect, in the way she described the unexpected accidents in her printing as perfect. They are places of imagination; places to return to again and again, for escape and for contemplation. In looking, the viewer becomes the voyager. It’s a magnificent trip. 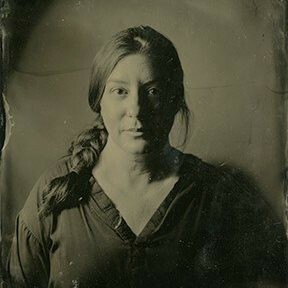 Lauren Greenwald is a visual artist and educator working primarily in photography and video. Her work focuses on landscape, perception, and the experiential, incorporating a range of digital and analog processes. Ms. Greenwald received her B.A. in Art History and French from the College of Charleston and her M.F.A. in Studio Art, with a minor in Museum Studies, from the University of New Mexico. She currently lives in Oceanside, CA, where she is head of Photography in the Art Department at MiraCosta College.